How to Export submission data to CSV format? Submission data can be exported as Excel, CSV, or PDF format. 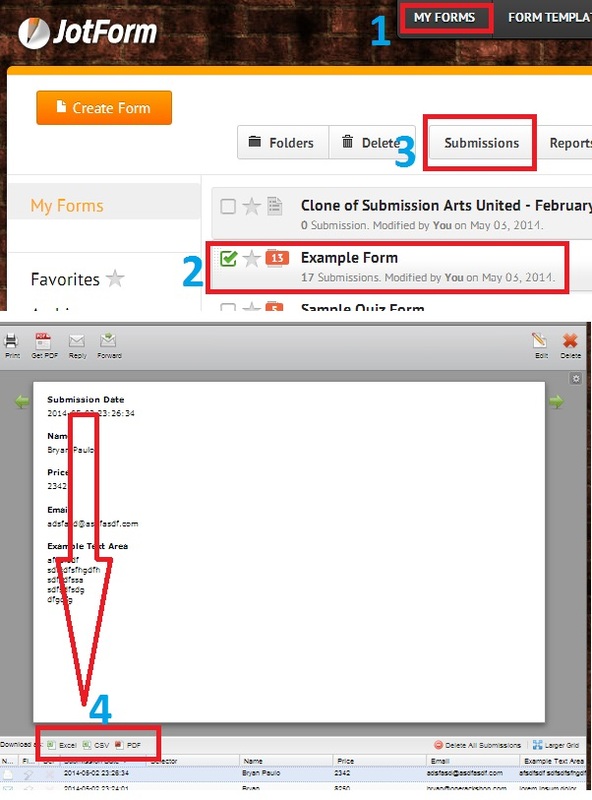 Below is a screen shot on how you can download all submission at once.